My First YouTube Video is LIVE! After years of toying with the idea of joining the YouTube community, I have finally uploaded my very first video! 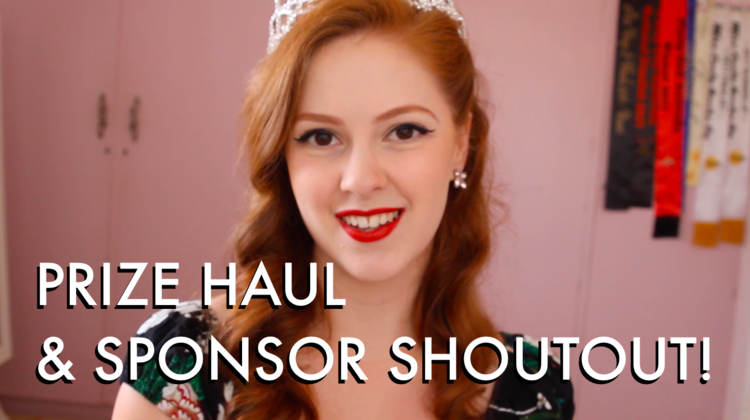 I wanted to make my sponsor thank you extra special, so I thought a Prize Haul & Sponsor Shoutout was very appropriate. Check out my video HERE, as well as some shot of the very generous prizes below. My Pinup Doll Australia experience was absolutely amazing! A huge thank you goes out to the Pinup Doll Australia Crew as well as all of the girls who took to the stage - you all rocked it!